Stuart Elliott Decorators Ltd worked to complete this award winning modern dental practice in 2011. We worked with a mixture of plaster, wood, metal, steel and oak and was a very difficult building to paint. 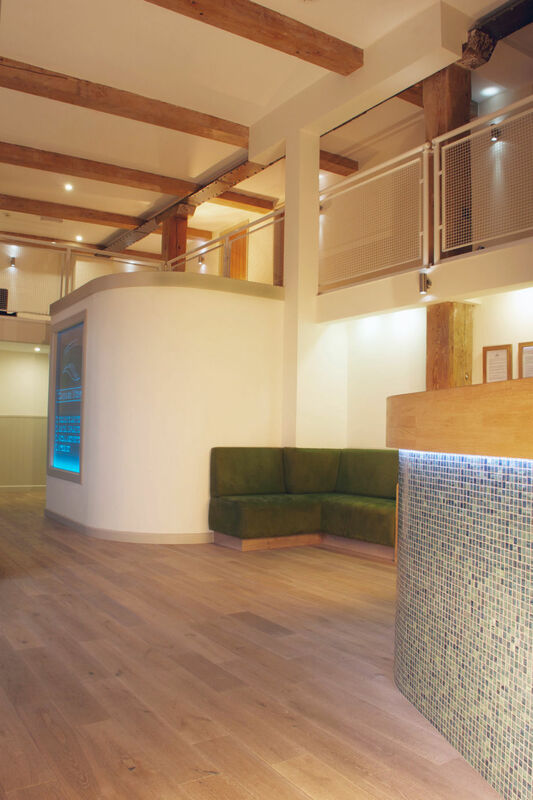 This dental practice is part of the Award winning development The Brunel Quays in Lostwithiel which we also decorated. Again working with an interior designer and architect we managed to transform this old Brunel carriage works to offer Finley (the owner) and the building the quality they both deserved.